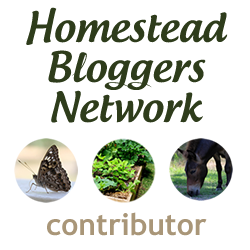 Linn Acres Farm: Which Pallets Are Safe to Use? Which Pallets Are Safe to Use? There are so many amazing things that you can do with pallets! Since they are available free at many places, they have become very popular for DIY projects. 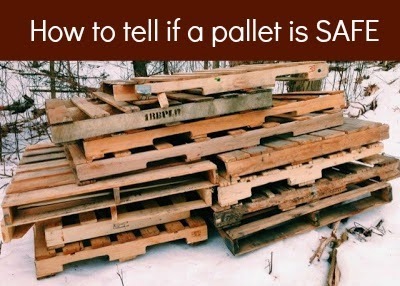 But it is very important to know which pallets are safe for use. 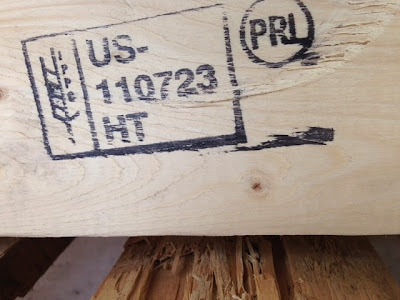 Thankfully, most pallets are labeled with a stamp. As long as you know what to look for, you can make sure you are getting safe pallets. You may be wondering why would certain pallets be dangerous? In order to stop the spread of invasive pests, pallets are treated. They can be treated in two ways, with dangerous toxic chemicals or with heat. You do not want to use any pallets treated with a dangerous substance, but pallets only treated with heat are perfectly safe to use. HT: This stands for "Heat Treatment". Depending on the type of wood, they are heated to a certain temperature in a kiln for thirty minutes. 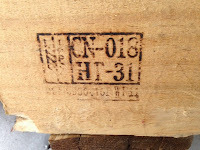 These pallets were not treated with chemicals and are safe to use! DB: This stands for "Debarked", which is self explanatory. MB: This stands for "Methyl Bromide". This is a broad spectrum pesticide that is very dangerous to both human & animal health, as well as the environment. You can read more about it's effect on the environment here, and about the health dangers here. Pallets marked with MB are not safe for any use, including burning. 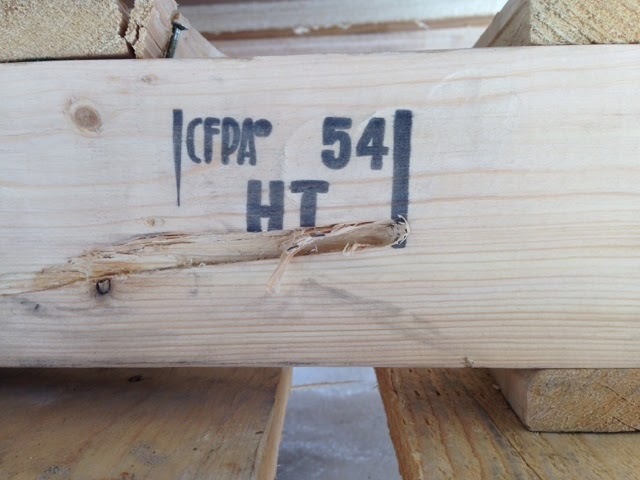 Unmarked: Pallets that have no stamp on them should be considered unsafe. 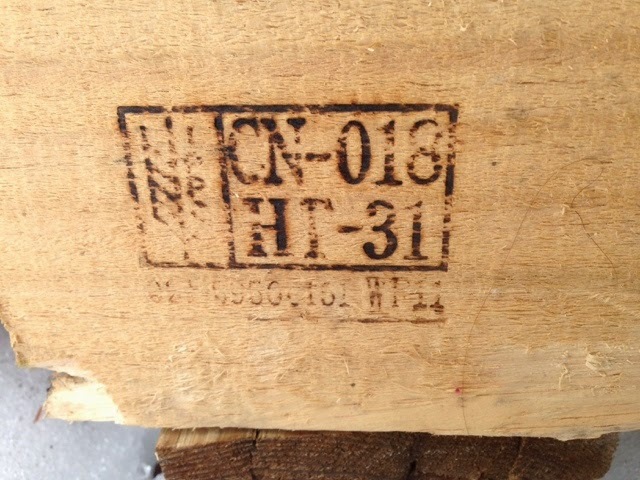 Although it is standard to stamp all pallets now, you have no idea how old the unlabeled pallet is. Considering how dangerous Methyl Bromide is, it is not worth the risk. Additionally, you should also not use any pallets that are dirty and appear to have things spilled on it. There is no way of knowing whether chemicals were spilled directly onto the pallet, even if it is labeled as safe to use. The best way to recycle pallets is to find a place where you can find out what the pallets are used for. We are able to get pallets from Eric's workplace, so he knows how they were used prior to us collecting them. So now that you know which pallets you can use.. there are so many possibilites! 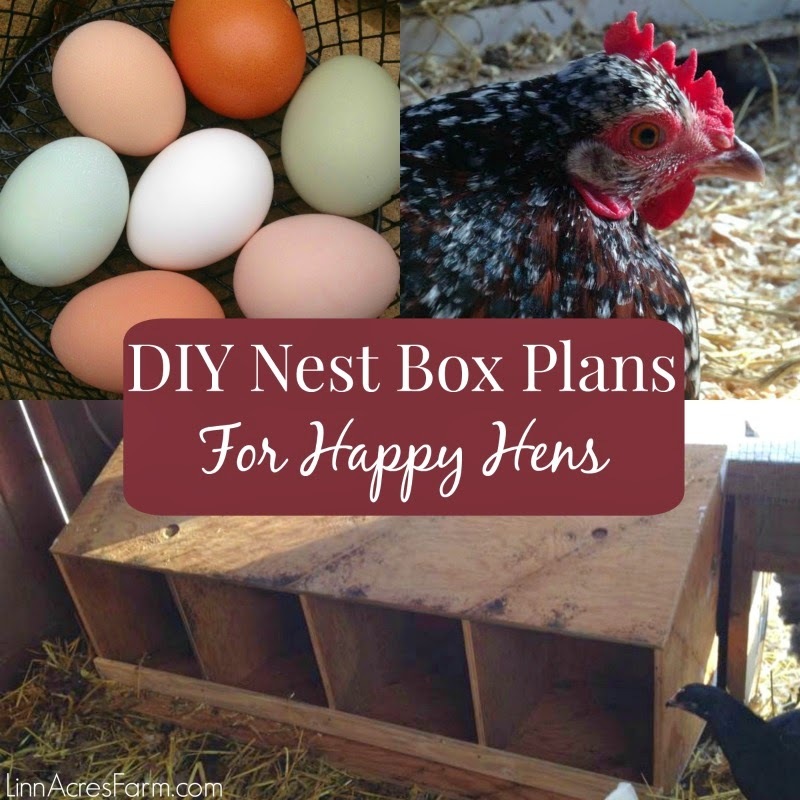 If you need some ideas, check out our pinterest board: Pallet Projects!